Sometimes it is the closeup that matters and other times it is the background that makes a photo. My favorite from my mother's garden is this photo. 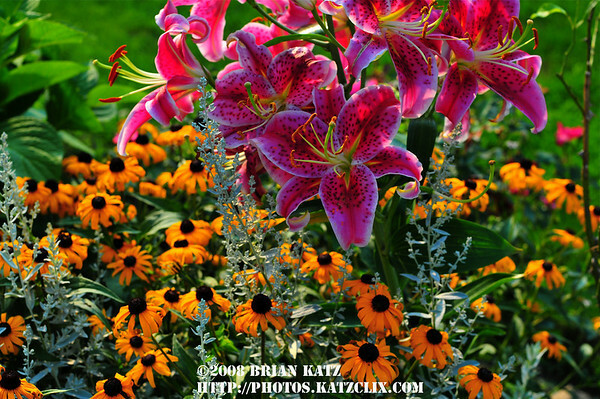 The lily is a beautiful flower but the context that Black Eyed Susans give it make it better - at least to my eye.